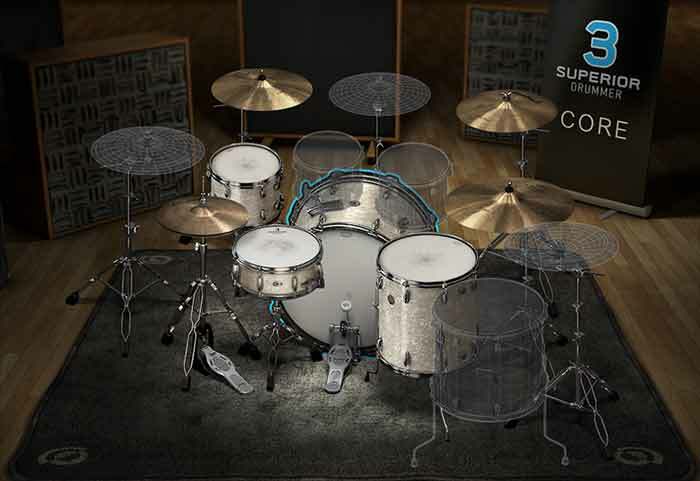 Big Fish Audio - Superior Drummer 3 - The award-winning, pro drum production studio has taken it to a new level! IMMENSE AND IMMERSIVE, CAPTURED WITH LAYERS OF TECHNOLOGY. 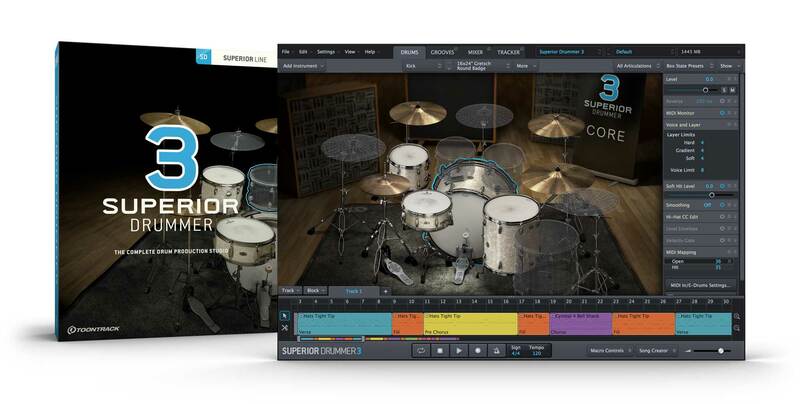 The Superior Drummer 3 core sound library was recorded by award-winning engineer George Massenburg at probably the world’s most quiet and ideal location for sampling, the Galaxy Studios in Belgium. 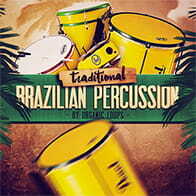 The library boasts in excess of 230 GB of raw sound material captured in extreme detail. 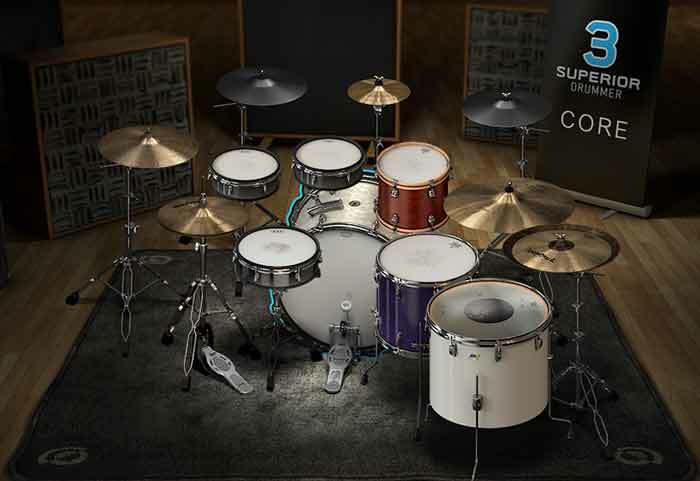 In addition to close microphones and several ambience positions, the Superior Drummer 3 setup also includes eleven room microphones set up in a surround configuration, for use in anything from stereo to 5.1, 9.1 and all the way up to 11.1 systems. 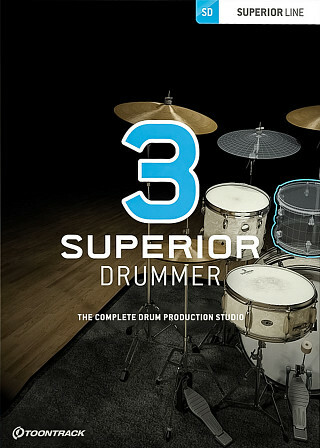 In combination with the large selection of extra instruments added for stacking and sound design purposes, the sounds of Superior Drummer 3 give you an incomparable palette of options to craft drum tones beyond your wildest imagination. 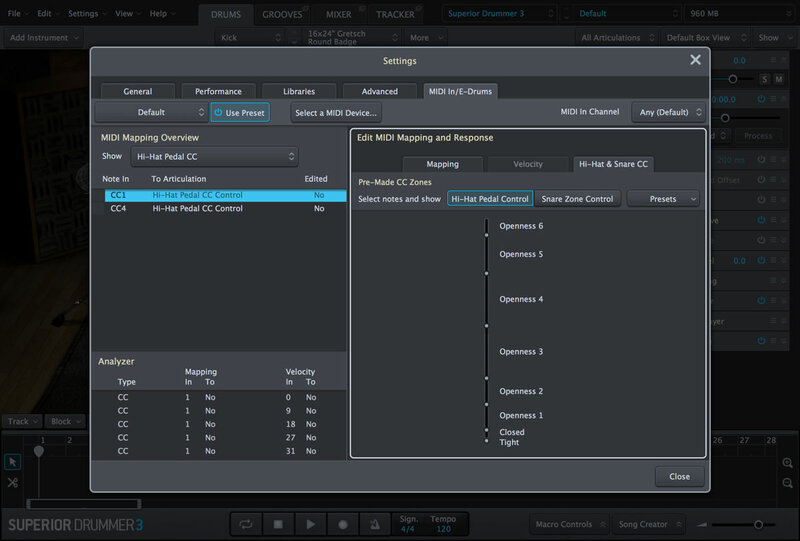 A NEW BREED OF AUDIO TO MIDI CONVERSION. 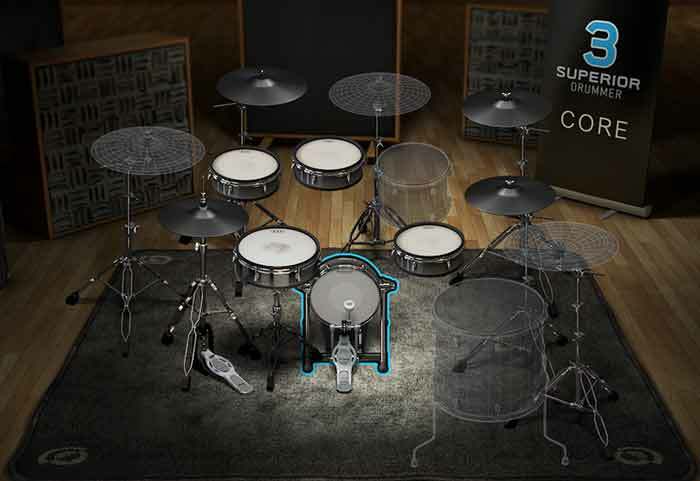 The Following End User License Agreement is included with Superior Drummer 3. 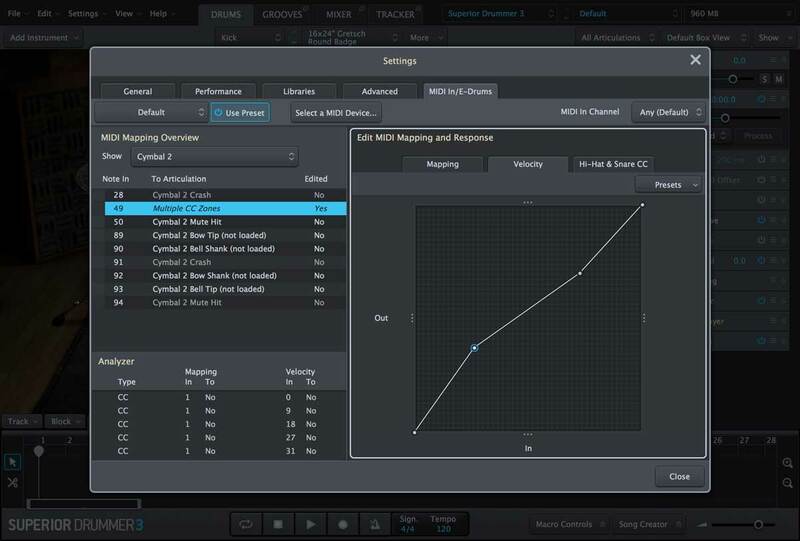 This License is only valid for the individual who has purchased an unopened, new and lawfully made copy of Superior Drummer 3 from a dealer or distributor authorized by Big Fish Audio.